Meet the original après adventure slipper from Acorn. Over 40 years young and still going strong, these slipper socks made their debut on shuttle missions aboard the International Space Station. How cool is that? And they've been known to don the feet of sherpas in the Himilayan Mountains! Whether you're camping in the Rockies or playing Monopoly, The Original Slipper Sock delivers cozy comfort. 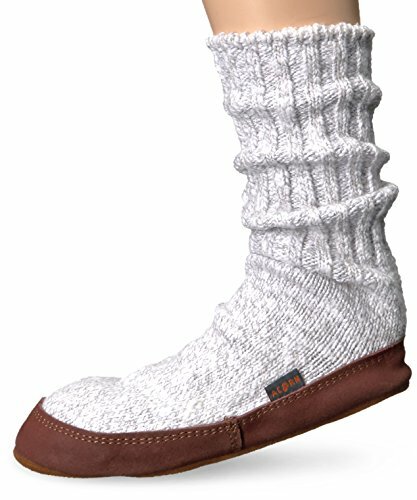 Crafted from Acorn's heritage ragg wool, a four-season, temperature regulating, sustainable and natural fiber, these slipper socks are perfect all-year round. The premium, multilayer Cloud Cushion memory foam insole and suede leather outsole keep feet protected. If you have any questions about this product by Acorn, contact us by completing and submitting the form below. If you are looking for a specif part number, please include it with your message.